For almost fifteen years, both the EU and North Atlantic Treaty Organization (NATO) have claimed to partake in a relationship that is purported to be a ‘Strategic Partnership’, albeit one that is troubled by lasting political blockages. 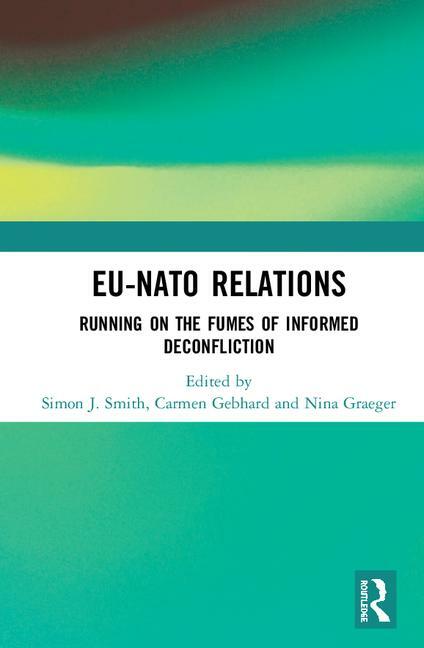 The constraints that affect the formal relationship between the two organizations are well-covered terrain in the academic literature – including by most of the contributors to this volume; however, the popular argument that the EU and NATO simply do not cooperate in any substantive way warrants deeper investigation, both theoretically and thematically. Thus, EU-NATO relations might not at first seem like an under-researched area, but much of the existing literature on the issue re-engages oversimplified and formulaic statements about the nature, quality, and practice of interactions between the EU and NATO. This volume aims to develop the EU-NATO research agenda by pursuing three key objectives: (1) reduce the lacuna of theoretically informed analyses of the relationship, (2) add empirically and analytically rigorous case studies to the relevant body of literature, and (3) point to possible developments and solutions in the ‘Strategic Partnership’.